Rock & Metal 4 You: CD-Review: Arc Angel - "Harlequins Of Light"
How many of you remember Arc Angel? The Pomp rockers around Jeff Cannata released their debut album in 1983. Since then you never heard something new from this band. 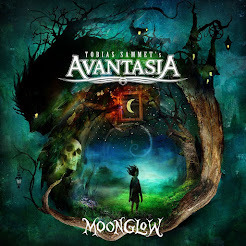 Cannata was busy in doing a project with James Christian and some solo stuff. 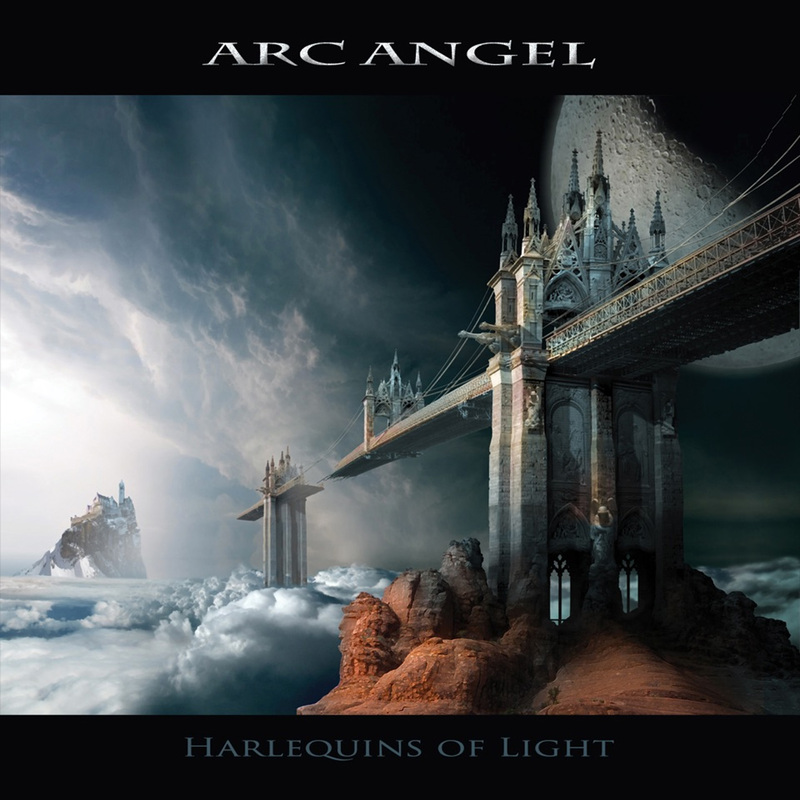 Now, 30 years later Arc Angel release their second album "Harlequins Of Light" and the most important question is: Does it make sense to bring this band back to life after all those years? I must confess, I didn't know this band before ... maybe because I'm too young, but many releases from that 80's era are still a household number, even to more young people like me. So I don't think the debut album had such a big impact on the scene when it was released. Otherwise why it took so long to release a follow-up? After listening to "Harlequins Of Light" for a few times now, one band comes to my mind: Magnum. Arc Angel play nearly the same style of 80's Melodic/Pomp Rock. So for Magnum fans this album could be very interesting. It starts pretty well with the title track and also "As Far As The Eye Can See" is a nice, catchy song with its feel-good-vibe. What stands out are the lyrics: Arc Angel deliver very good lyrics in most of their songs, it's not that easy and stupid "love, love, love everywhere"-thing, which is a typical cliche in AOR. Instead of it you get lyrics to think about, for example on the majestic "War (Battle Wounds Of Life)". It's very refreshing to listen to lyrics with a meaning. Unfortunately, that alone does not make a good album. Soundwise I'm not so satisfied with the record. Keyboards and pianos are omnipresent here and the guitarsound isn't as good as it could be. The whole album is way too calm. Most songs start with the piano and a very quiet verse. The instrumentation feels just flat. There are some good guitar solos, but the whole band seems to be very tired ... too tired to rock out. It's the same when I listen to Jeff Cannatas voice. He has that Bob Catley feel in it, but his vocals seem a bit powerless. In general I miss more punch and drive on the whole record. Same with the production itself, it's way too calm and slushy. I already said that there are some very good and interesting songs on this album, but after six tracks I was really bored. To be honest three times I fell asleep while listening to this CD and this says it all. Usually that doesn't happen when I listen to a new album, but due to this soporific sound it just happened. Another problem is that the songwriting can't build up much tension, because many things are repetitive when it comes to structure and melodies. I listened many times to this album now and I still can't distinguish between several songs. Maybe this album is a grower, but it didn't grow to me. Luckily there is one song which fascinated me in the second half of the album and this is "California Daze". I like that one very much and to me it's the best song on the album. To answer my question from the beginning: I don't think it was neccessary to bring Arc Angel back to life. It seems like they wanted to give it a second try because of the new popularity of Melodic Rock nowadays. So, they jumped on that train - there is nothing wrong with that, but the market is highly competitive and Arc Angel fail to set an outstanding sign in the Melodic Rock world. For sure this album will find its fans, but I don't think it will bring them the big breakthrough. Pomp Rock and even Westcoast lovers can give it a try. Also Magnum fans can give it a listen if they want to shorten the waiting time till the next album of their heroes will be released.